How to Hold and Smoke a Cigar? Seriously!? 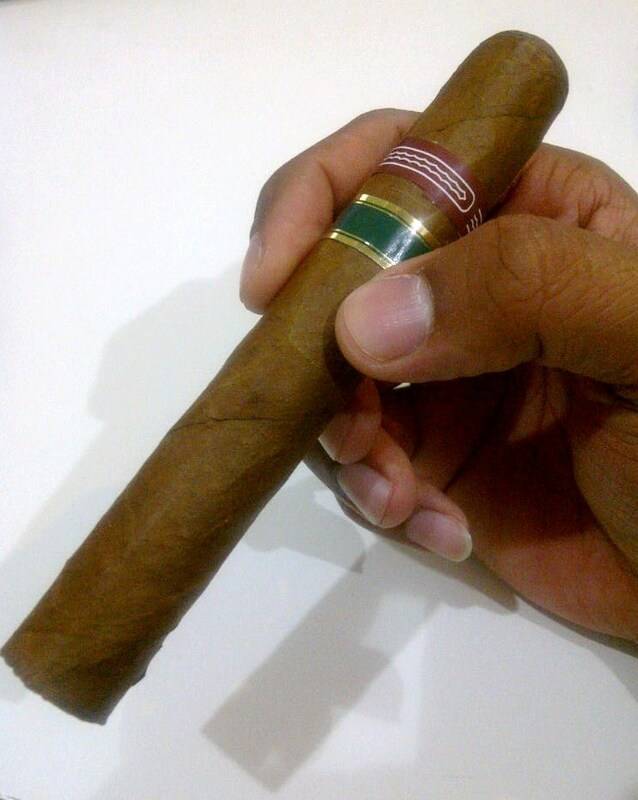 I met a couple of "Pseudo" Cigar Aficionado the other day and the conversation just killed me. Its true that there are some techniques for smoking specially for experienced smoker who want to capture many characteristics of the cigar, but on how to hold the cigar? come on now! I personally feel that if you are into cigars, then make sure you are into them for the experience and not how cool you look with one! 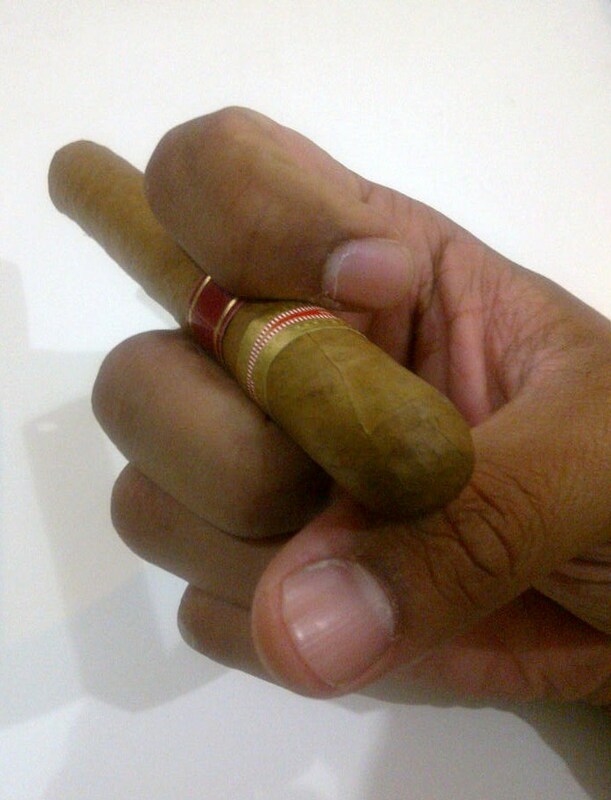 Holding a cigar in a certain way will not make you look like an Aficionado or 'cool' in the eyes of the people surrounding you. 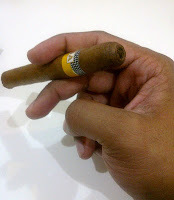 In fact, the cigar brand, shape, size and how you smoke it is usually enough to showoff your 'experience status' in cigars (and that's for big headed smokers only!). Studies were done in the past to try to correlate a person's mood with the way they hold a cigar but thats just for entertainment purposes. 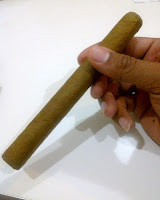 (you can read about it here in Cigar Psychology). Holding a cigar in a certain way will never give off an impression among fellow cigar enthusiasts or Aficionados. They would care more about the cigar itself then how you would hold it! 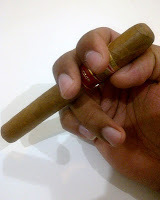 With that said, please do not let anyone tell you how to "properly" hold a cigar when smoking it. To me there is never a right or wrong way, just a comfortable and natural way. 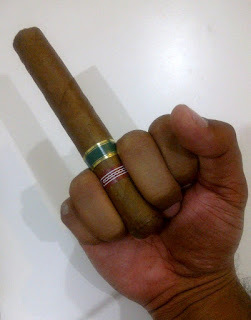 As long as you respect your cigars, you would never hold them in the 'wrong' way. Here is the controversial hold, between Index & Middle finger (like a cigarette). Usually comfortable with small gauges below 40 & cigarillos. Hope you enjoyed my photo shoot. Remember respect your cigars and there is no wrong or right way, just a comfortable & natural way to hold them. 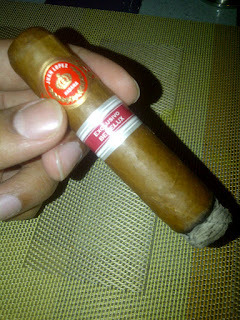 I took the Juan Lopez Selección No.3 with me tonight for an after dinner smoke with a friend for a chance to try it out. 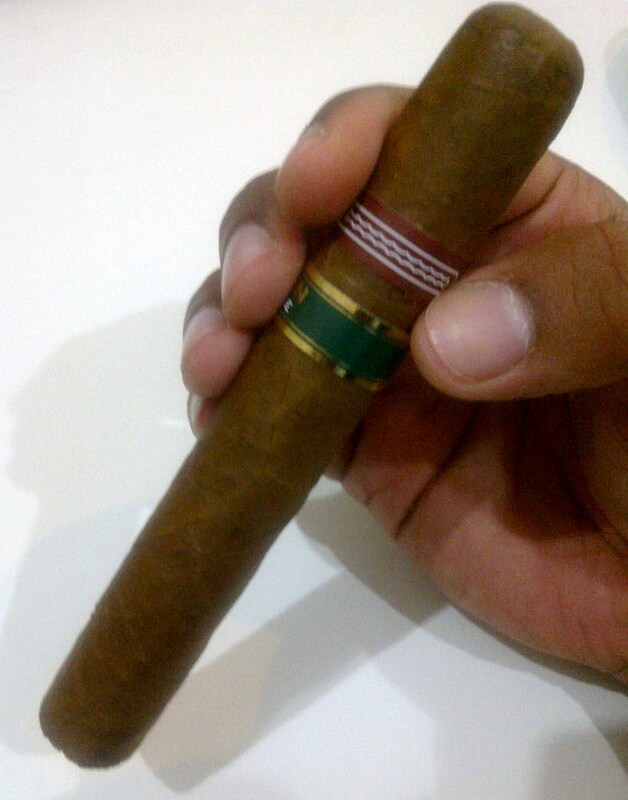 This Petit Edmund Robusto has a slightly smooth Colorado Claro wrapper with a few visible large veins. 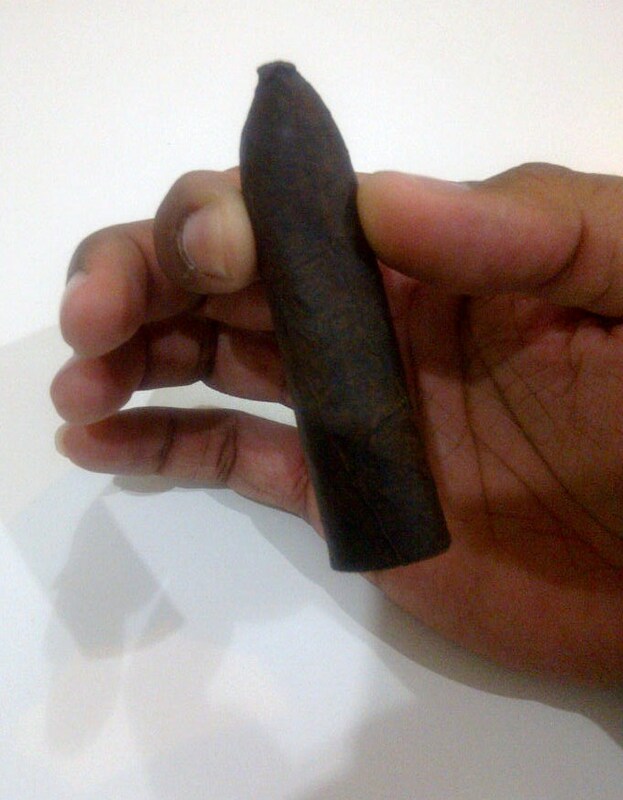 The Cigar is firmly rolled and has a distinctive wet wood smell that can be very inviting. My first lit blows of a deep woody scent with a light smoke that is subtle and fresh until a few moments where it gets bitter on the tongue. 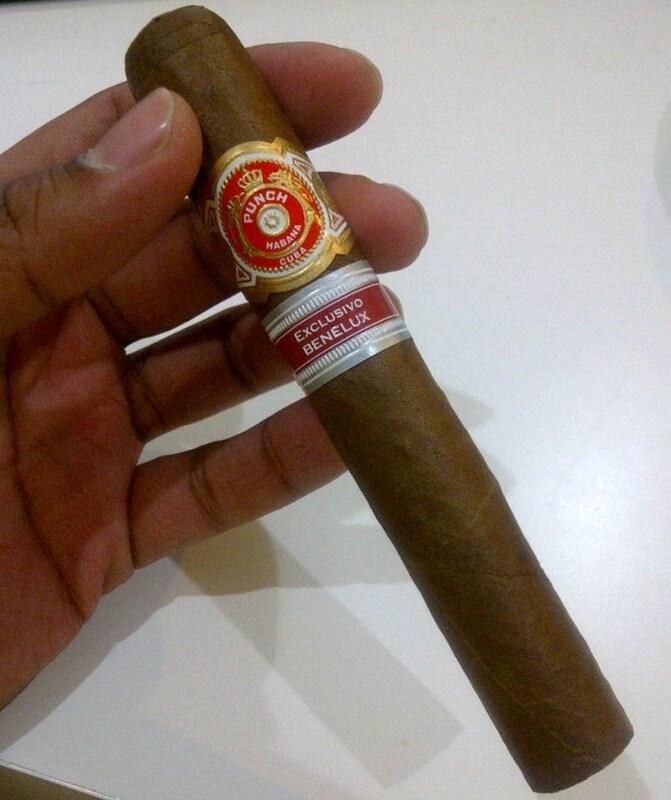 Amazingly, this firm dark brown medium-bodied cigar continues to draw very light smoke all thought the first part making it somewhat refreshing. Not much abundant of smoke but the scent of cider and leather quickly fills up the surroundings. Just little under half way, the characteristics changes lightly to more bitter sourness hitting the back of your mouth. The smoke continues to be light but all the goodness is experienced in the scent, kind of reminds me of a brand new leather couch. 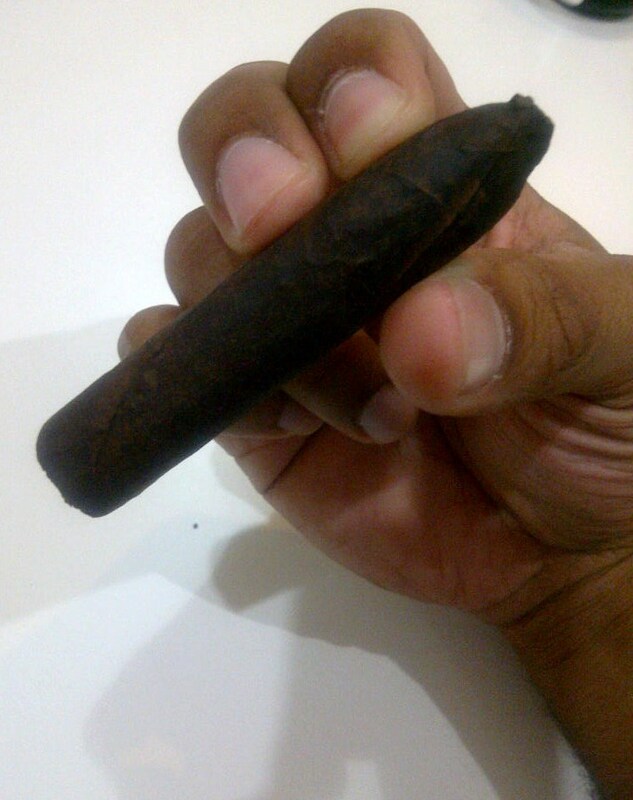 Since this is a short cigar, you expect heavy burns and bitter flavors where the tar that travels though to the end get heated up pretty quickly. That is why the bitter taste sticks in the mouth longer after every puff. Nearing the end, the bitter smoke intensifies and continues to leave a strong sourly taste in the mouth that for some can be quiet off. 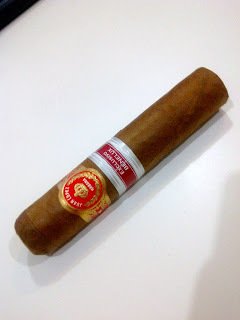 This cigar is a not bad smoke, but it is another example of a Marketing based released. 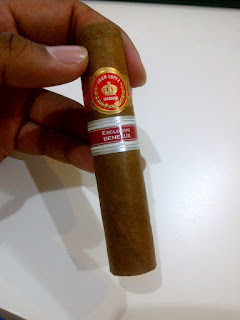 I wasn't expecting something "wow" from this cigar but more of an experience to compare with other Juan Lopez productions. I am just not impressed with the size but its a nice casual smoke and surely needs to be paired with a drink! I also think chocolate would be something to consider with the Juan Lopez Selección No.3. 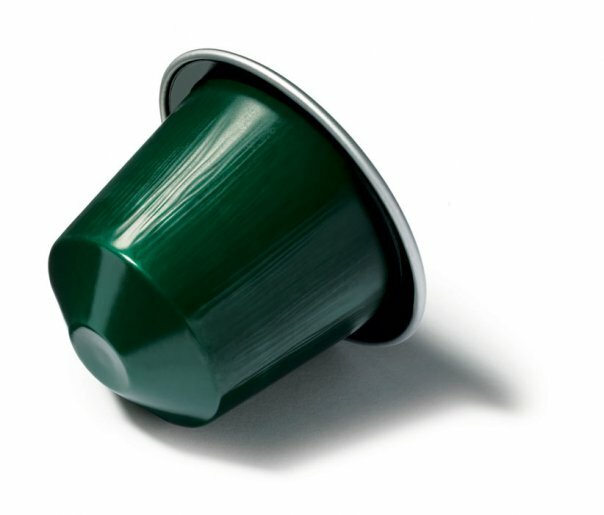 Lastly, I have chosen the Nespresso Capriccio to match the Juan Lopez Selección No.3. 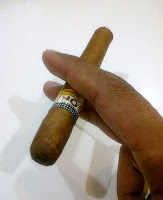 Its intensity (4) and light roast offers a sweet cereal taste with a very light acidity to balance the sour bitterness of the cigar. 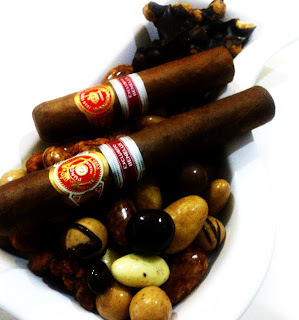 After a wonderful trip to The Netherlands, Belgium and France last week, I was lucky enough to pick up some regional exclusive Habanos cigars that I have read about as well as some good quality Belgium Chocolate to indulge in! I was so tempted to stack up on all the exclusive cigars that were there but my travel case couldn't take any more so I had to leave some behind for my next trip. Since I haven't posted anything on my blog for the past 10 days, I thought I would share with you some new additions to my cigar collection. My first pick while I was on the trip was a couple of the Petite Robusto 2010 Edición Regional Benelux JUAN LOPEZ No. 3 which only put out 1,600 boxes of 25s. The second pick was the Robusto Extra 2009 Edición Regional Benelux PUNCH ROYAL which only made 2,600 boxes of 25s. Both Cigars are special sizes made exclusively for Benelux. If you are not familiar with Benelux, its an East European Union between three neighboring countries Belgium, Netherlands and Luxembourg (hence the name Be-ne-lux which is the first 2 letters of each country). 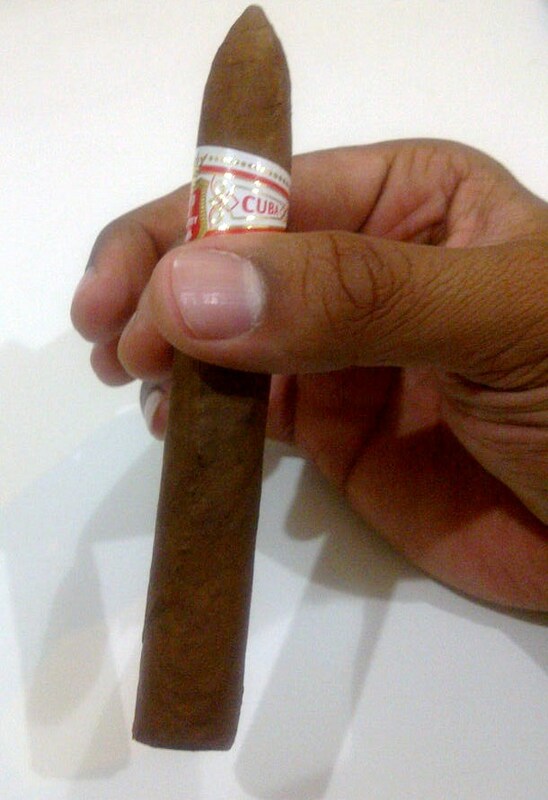 These cigars were distributed by CubaCigars Co. and I will properly provide their features once I am ready to review them. 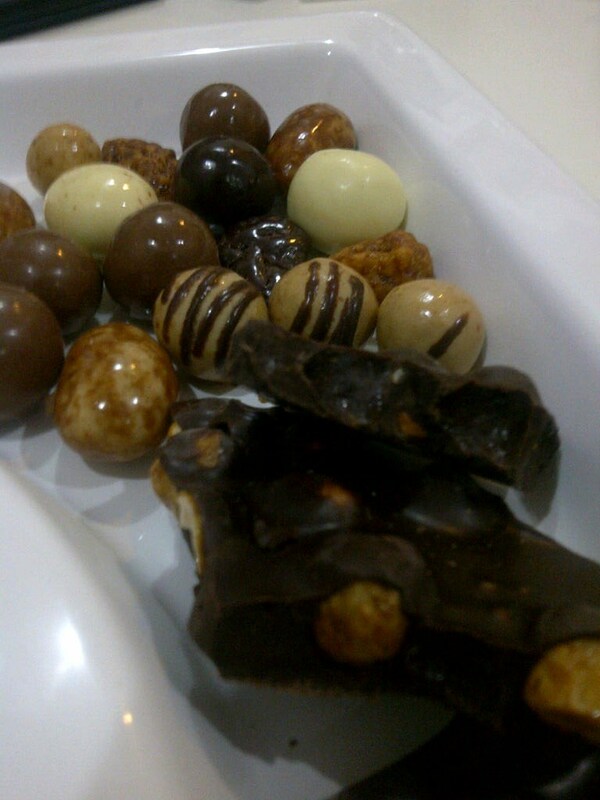 Well, I am going to try to see if I can match some cigars with chocolate. I Have a feeling that some might actually work specially with some full bodied ones. The testing will soon begin. I appreciate your patience and if you think you can or actually have tried to pair cigars and chocolate before please share.